Hope you all celebrate somehow, someway. Here's hoping this is the last hurrah for winter. So everyone give some big props to Julie!!! She's kept baby William baking away & she's now further then she's ever been in any of her pregnancies. Isn't that belly the cutest!!! & this was a week ago! Needless to say, she's a tad uncomfortable. But if she makes it a few more days & hits 36 weeks, William could come home with mommy & daddy from the hospital. Her first 2 - they had to stay behind in the NICU for awhile. Come on William - be an overachiever!!! What is it about the Olympics that makes me watch a sport I could care less about any other time of the year? 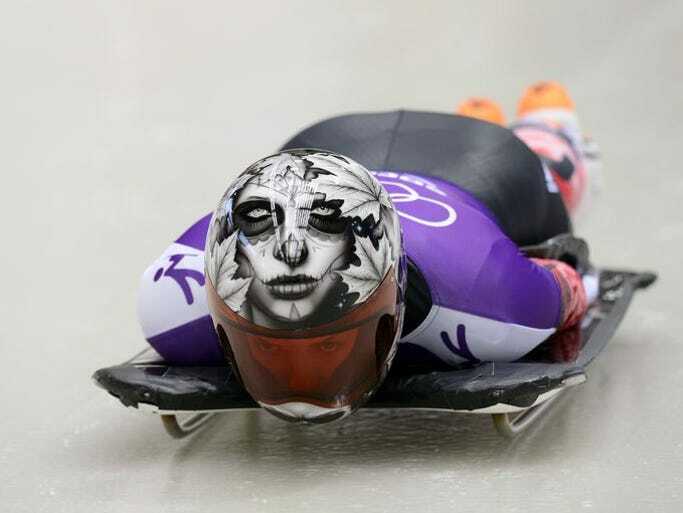 Why do I feel like the Olympic Skeleton competition isn't that hard? Say a prayer for our Youth Kiddos from church. ... its the first time I haven't been able to go & I'm kinda bummed about that. There's just no way we could leave Sydney. But pray for the kids as the weather is going to be bad on their drive up tonight. I need organization in there. & I'm just in the first few episodes of season one & have already asked Ricky a dozen times if certain people are still alive or if they're dead..
...then say, "Don't tell me"..
Did you miss this?... I actually forgot about it until a friend mentioned it. Goodness knows we're never short spats so here we go.. The Hubs: I'm so tired. You have no idea. I'm exhausted. The Hubs: Did your back hurt running tonight? & a wonderful Valentine's Day!!! Love that last picture...made me laugh out loud. I am keeping hope alive by seeing the sun set later and later! But I just wish the sun was a bit warmer. I am going crazy with all of these wind-chill advisories (like -30/-40 below zero/ UGH). How did you watch the last season of Breaking Bad? We watched all of it through Netflix but they aren't releasing season 6 (the second half of season 5 I guess) until Feb 24th. I know it's not that long but we are dying over here! Jealous of your 50's/60's next week! We are getting up to 48 and it is going to feel tropical! I think we have a few more snow storms to get through before winter is finished with us. The groundhog saw his shadow. 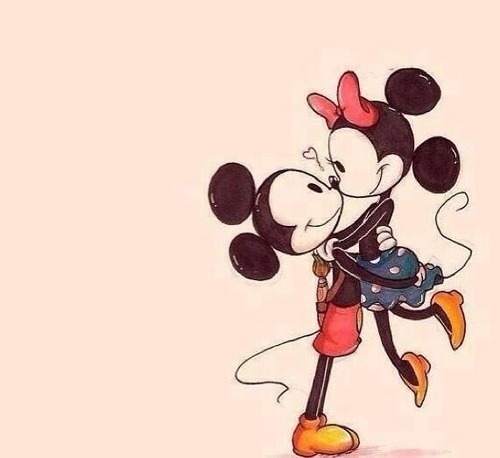 That Mikey and Minnie image is so cute! My husband would love it! We're big Disney fans! I loved Breaking Bad. I can't do the zombies though "/ my husband on the other hand, is hooked!!! I totally LOL at that last picture! YAY for Julie keeping that baby in her belly!!! Congrats to Julie -- keep up the good work. I struggled similarly and I understand. To bring home your baby is the greatest gift of all! Love the celebration dance - hoping you have great weather soon! 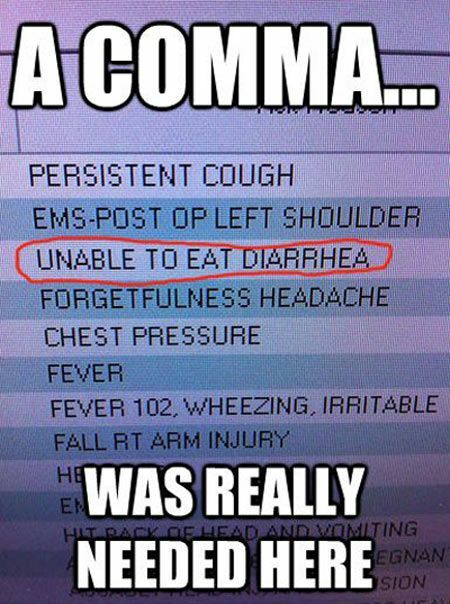 I have a hate/love relationship with grammatical errors. Last week, a student's grandma posted on her Facebook page "Ready to eat mom!" instead of "Ready to eat, Mom!" beneath her granddaughter's photo. I hope the kids returned safely from their trip! Walking Dead is AWESOME! i hope you catch up fast so we can discuss it every week-- no one who I know in real life watches it!